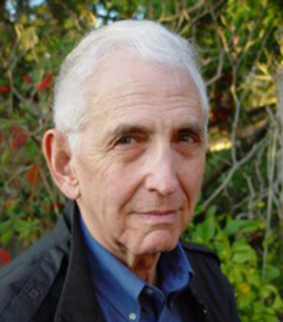 Upon discovering and releasing the Pentagon Papers, the classified history of America’s involvement in Vietnam, Daniel Ellsberg cemented his legacy as an advocate for public access in the ongoing discussion of government transparency. On Sept. 4 in Portland, Ellsberg will join history professor Christian Appy and Lt. Col. Thuy Tran, board member of the Vietnamese Community of Oregon, for the panel discussion ”Echoes of Vietnam.” The panel will take an in-depth look at how the Vietnam War changed the United States’ international standing, the effects of the war on Vietnamese immigrants and the role of whistleblowers and government transparency. “The American war in Vietnam changed our country in ways large and small. This panel examines how it changed our thinking, our government and our lives,” said Wayne Morse Center Director Margaret Hallock, who planned the event. The panel discussion is part of the Wayne Morse Legacy Series, which commemorates Morse’s famous dissent to the Vietnam War and the relevance of his principles to current issues of national security and military affairs. Several events in the series took place earlier this year, and additional events are scheduled in Eugene and Portland in September and October. The series is sponsored by the Wayne Morse Center for Law and Politics, the Oregon Historical Society and World Affairs Council of Oregon. This event is cosponsored by ACLU of Oregon. Visit the Wayne Morse Legacy Series for additional information and a complete listing of events.